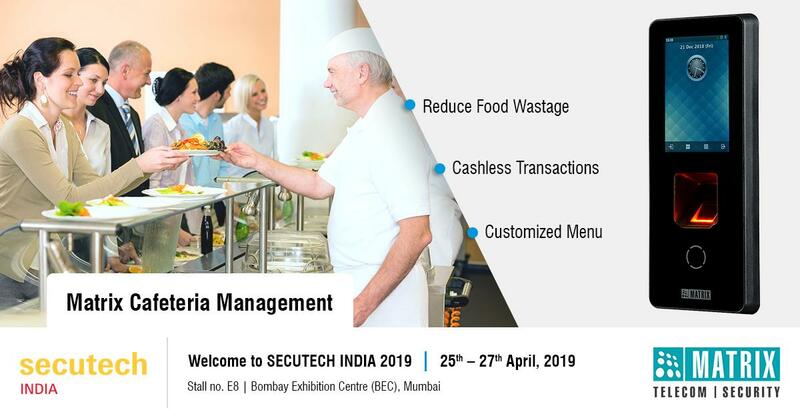 Automate food planning and have cashless cafeteria transactions with Matrix Cafeteria Management solution. Click to explore more: https://t.co/OYUksO4tpC, Visit us at @secutech_india, Mumbai to learn more. 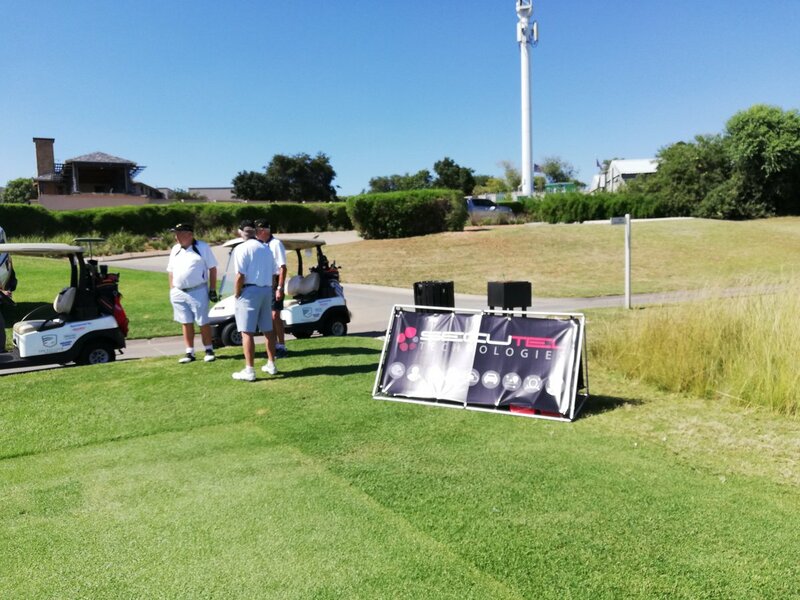 Tee-off for a great cause. The SecuTraq mobile app provides the security workforce with technology that is reliable, secure and offers real-time data. This workforce management platform offers insight, visibility and actionable alerts. Previously a security guard would press the panic button, sending a signal to the control room, which the control room operator would ‘action’ according to his SOP for such events or triggers. 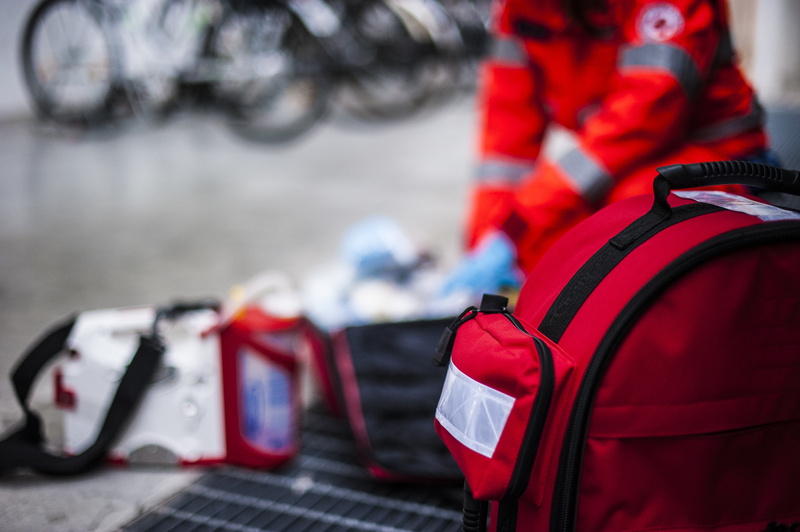 With the new first responder feature, the nearest guard or first responder will receive the panic simultaneously with the control room operator, when the security guard in distress presses the panic button. The members belonging to the same group as the guard in distress will be able to track the guard in real time, assist in case of emergencies and view the photos that were taken at the scene. The groups and rules can be set up according to your specific preference. • Real-time tracking: track your workforce with GPS tracking. • GSM communication: for data and voice. (supports GPRS). • Camera: for photos and video clips, that are sent to the other group members and control room. • Panic button: for handling distress situations. • Real-time data communication: with the control room operator. • Cloud storage: photos, videos and events are stored securely in the cloud. • Detect out of authorised zones. The following factors are recorded during a panic event: time alerted, two snapshots, latitude/longitude coordinates, time responded, time it took the first responder to arrive, time spent with the guard, time departed from the scene and other related special notifications. The app enables the control room to make informed decisions and to control emergencies far better than any radio-based system which cannot give visuals and sound of the scene. 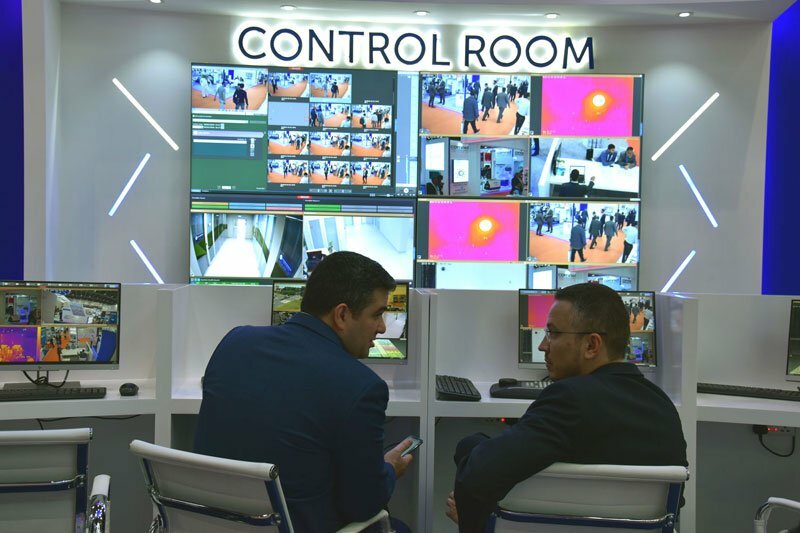 IFSEC South East Asia took place at the IMPACT Exhibition and Convention Centre, Bangkok from 25 – 27 October 2018, IFSEC Southeast Asia attracted Thailand’s and Southeast Asia’s security, fire and safety buying chain under one roof. With the strong support from the Royal Thai Police (RTP) , Thailand Convention and Exhibition Bureau (TCEB), the three day event gave the exhibitors access to the decision makers, c-levels, specifiers, system integrators, distributors, and other. 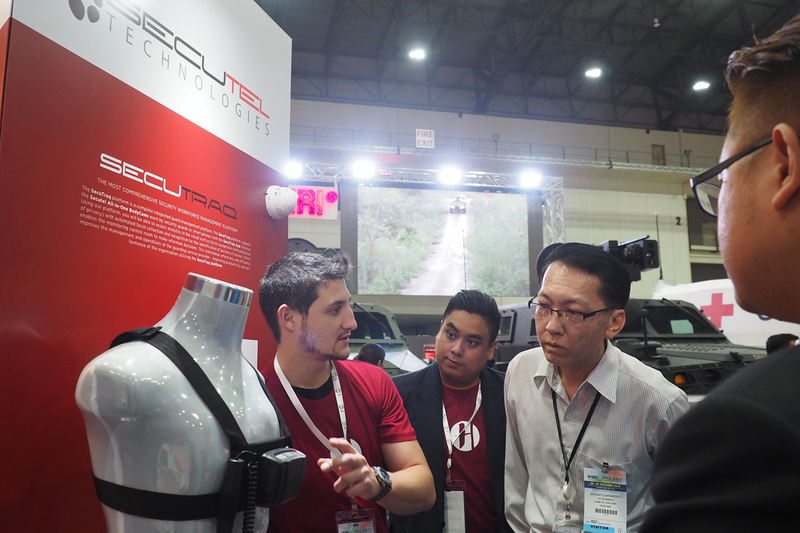 Secutel Technologies was represented at IFSEC, Bangkok – in partnership with Hauz Enterprize. HAUZ Enterprise is a security integration company that provides software & hardware solutions to security companies. 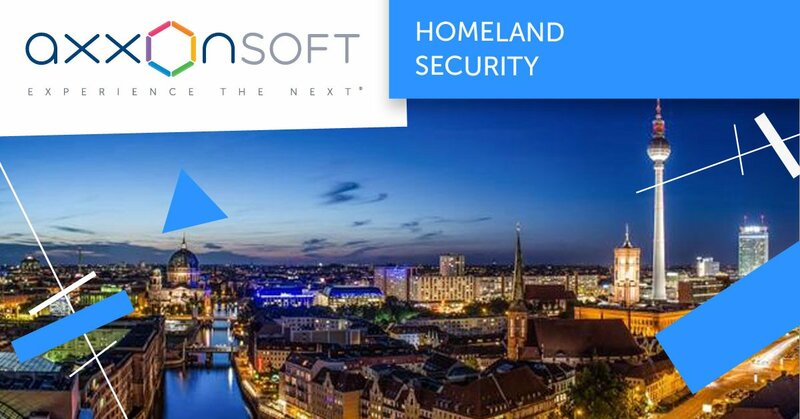 Implementing state-of-the art security software. Remote surveillance made easy with cloud-based technology. The world of security has changed drastically over the past few years, including developments in networking, security camera systems, surveillance software and Cloud computing. We are entering an era where billions of devices will be able to collect and transmit data via the Internet. Cloud-based computing has touched just about every industry and it will continue to reshape the security and surveillance sector. 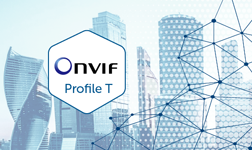 Security can now be offered as a service that is managed remotely, freeing up human and capital resources, with a focus on improving productivity and efficiency, generating a return on investment. 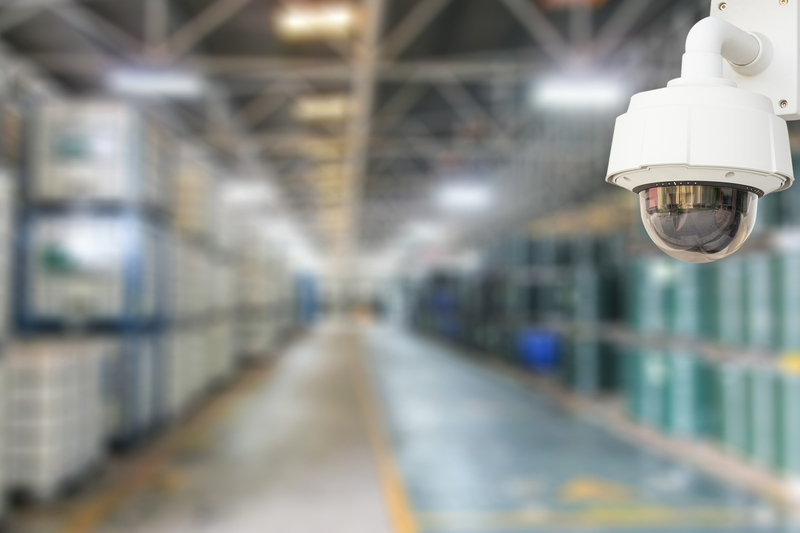 SecuVue from Secutel Technologies allows virtually any business to monitor their offices, warehouses, plants or stores remotely, from any part of the world, as long as they have an Internet connection. The SecuVue Cloud Video Recorder (CVR) and Cloud Bridge bring intelligence to most cameras that are already installed. A single SecuVue CVR can support anything from 1 to 16 cameras on a single unit in a cost-effective way. Or you can link the SecuVue CVR to your existing NVR or DVR and select the cameras which should be linked to the SecuVue cloud-based video management system. SecuVue can handle and manage several camera streams per server without compromising speed or accuracy. It is designed to manage exceptions only, but also caters for continuous streaming for real-time surveillance. The system takes care of the hard work of managing bandwidth availability and usage. Control room staff only need to deal with exceptions, based on each user’s business rules. • Local storage, record on local storage (up to 12 TB per CVR) in full HD. • Bridge, the SecuVue can act as a bridge between the cameras and the Cloud. • Cloud storage sends snapshots (not footage) to the cloud in a low resolution to save time and bandwidth. • Exception only, e.g. footage based on movement detection only. 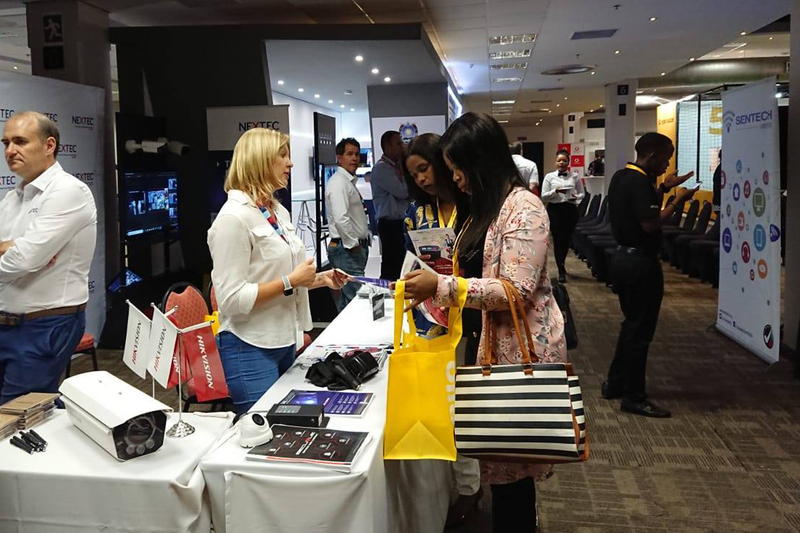 Secutel Technologies installed a Proxyclick Visitor Management System (VMS) at one of South Africa’s biggest mobile telecommunications companies’ head office in Johannesburg. This multinational mobile telecommunications company selected Proxyclick as the preferred visitor management system after evaluating several potential solutions. 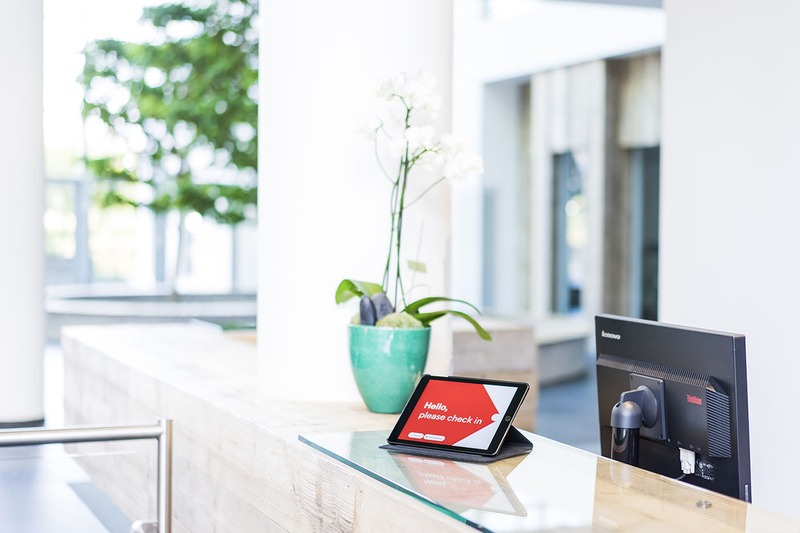 With the Proxyclick check-in, visitors get a personalised welcome into the establishment using one of the five iPad Proxyclick kiosks, linked to employees and their calendars.